Disclaimer: We cannot guarantee that the Specs/Price of OS-24 MR 16 on this page is 100% correct (Human error is possible). For correct info. always visit the nearest local shop. 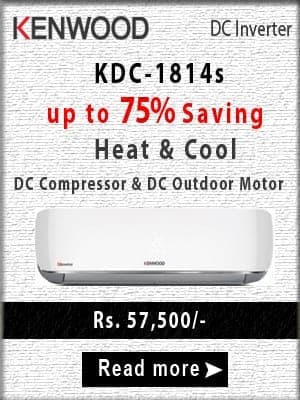 The Orient Air Conditioners price is valid in all cities of Pakistan including Karachi, Lahore, Islamabad, Faisalabad, Multan, Rawalpindi, Hyderabad, Gujranwala, Bahawalpur, Peshawar, Sargodha, Sialkot, Quetta.